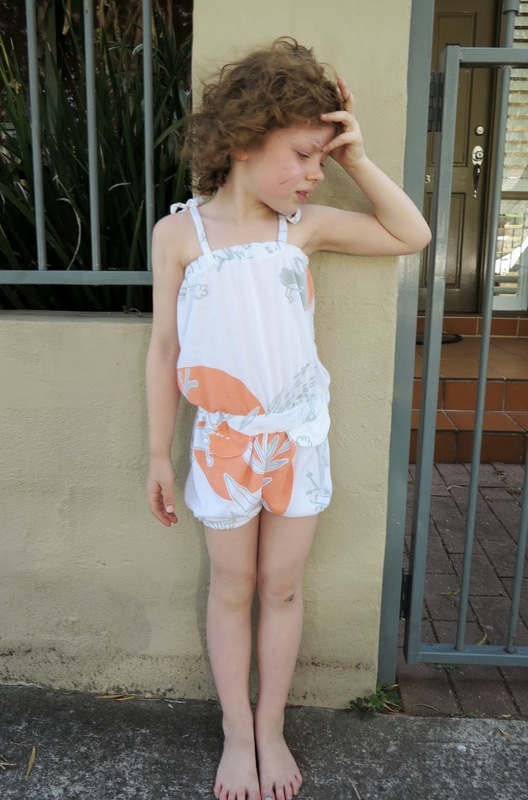 It’s called the ‘Christmas playsuit’ because I used the last of my lovely reindeer print jersey to make it. 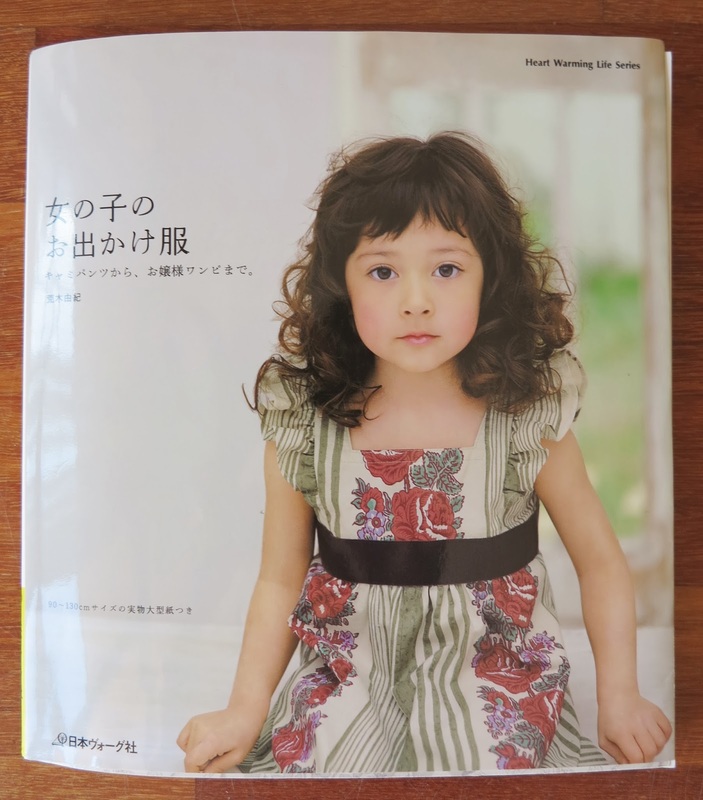 I used a pattern from this Japanese pattern book. 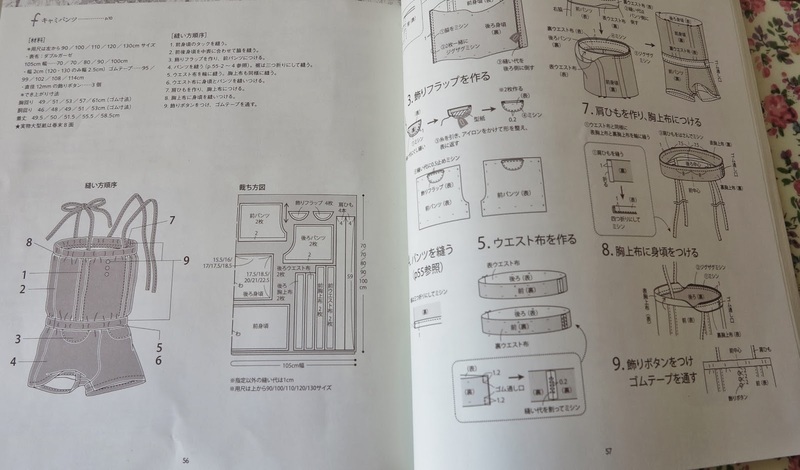 Yes, it is written entirely in Japanese, but there are excellent pictures to guide you in the construction of the clothes. I absolutely LOVE these Japanese pattern books. There are so many books to choose from, all with relatively simple designs. I wouldn’t necessarily recommend them to beginners, but once you get a bit of practice and knowledge in garment construction, then the pictures are more than adequate to guide you. This is Coco in her Christmas playsuit. The main modification I made was to add a little bit of thin elastic around the leg openings rather than let them hang like shorts. I did this because my fabric is so soft and drapey but had I chosen a linen or cotton, I probably would have left the pattern as normal. 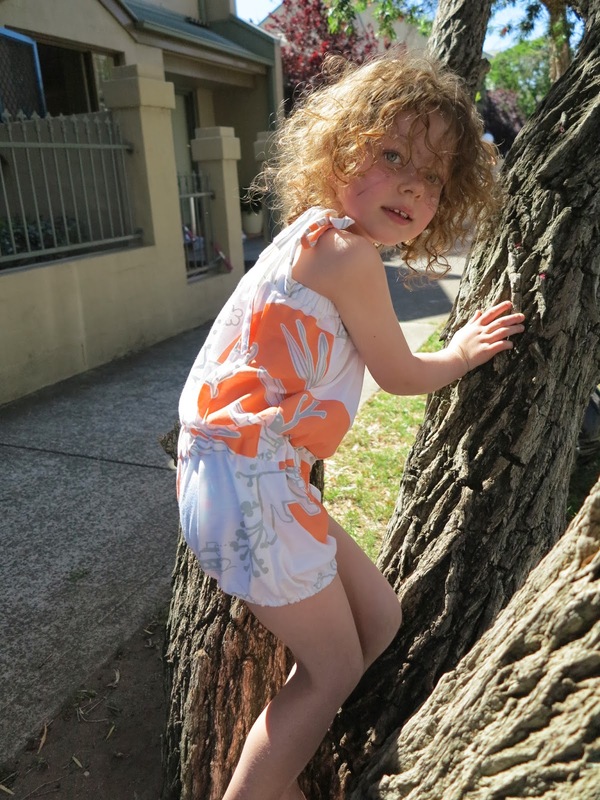 I am told the outfit is no good to stand still in, but is fabulous for tree climbing! This entry was posted in Christmas, Japanese pattern books, jersey, Tessuti Fabrics on October 13, 2013 by Debbie Iles. To cut a long story short, the last house we rented was bereft of curtains when me moved in. But it was only a short term lease and I didn’t want to spend a fortune on something simply to block out the light and heat. So off to Ikea I went with my three year old style advisor in hand, to purchase some cheap and cheerful heavy weight fabric that we could whip into some simple curtains. In the end, we were out of that dodgy old house quicker than anticipated and I was left with several metres of colourful, near new fabric that had been chosen by a pre-schooler. 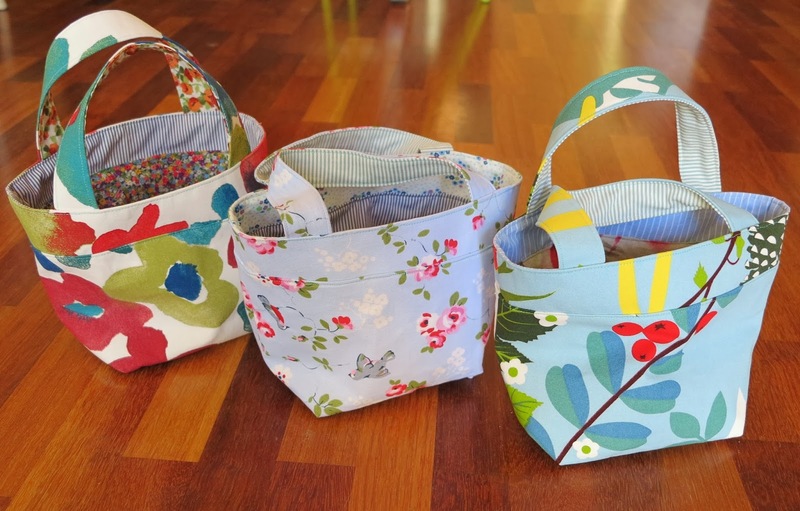 I was not at all in love with this fabric, but I hate waste so I decided to upcycle it into little ‘Bento Bags’ for my girls as part of their Christmas present. You can check out the tutorial for making these great little bags here. I omitted the waterproof fabric lining as these will just be play handbags for my girls. But I agree that they would make fabulous little lunchbags with the right fabric. Ayumi from Pink Penguin guides you through the construction of these little bags so clearly that you really can’t go wrong. 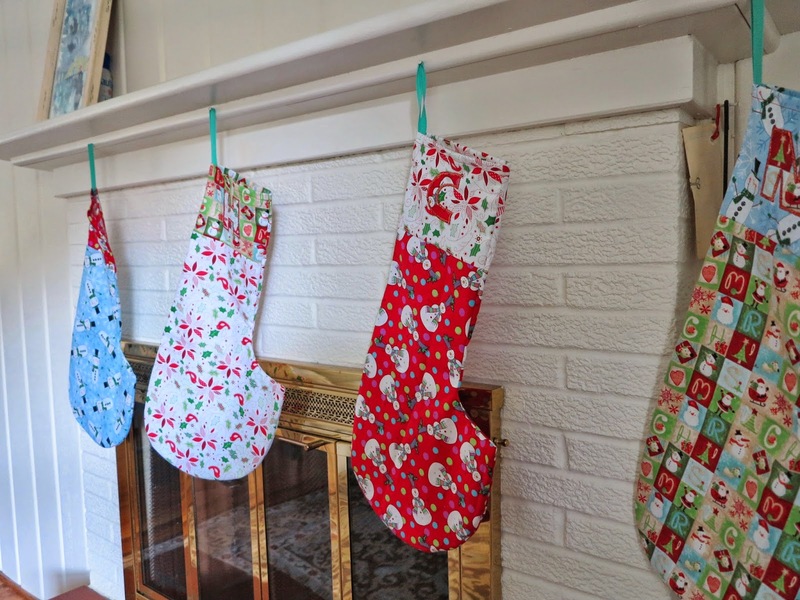 I actually discovered this tutorial last year and had a wonderful time making them for all my nieces birthdays in 2012, albeit in slightly prettier quilting fabric. 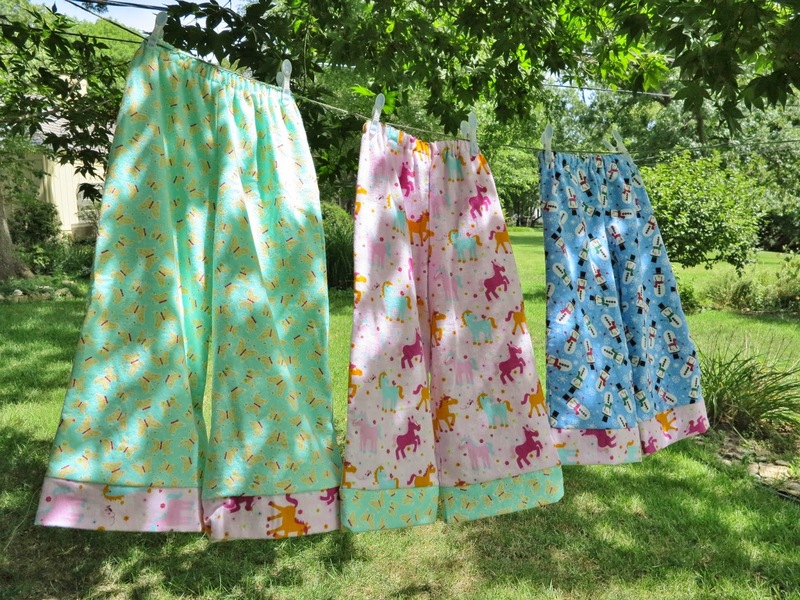 Despite the fabric combinations not being totally to my liking, I am still super happy with how they turned out and I know my girls will absolutely love them. I highly recommend giving this tutorial a shot. It is the perfect project for beginners! 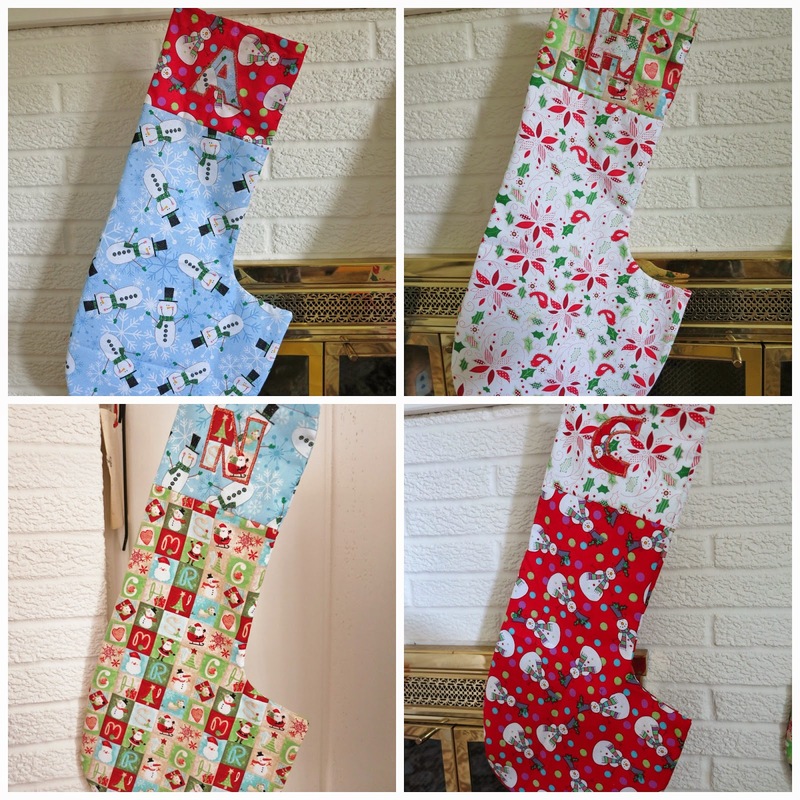 This entry was posted in bags, Christmas, upcycling on October 2, 2013 by Debbie Iles.